Not long ago, I realized that I could freeze a whole lemon, grate it, store the granules in the freezer and use ALL of it in many recipes. No waste – brilliant. 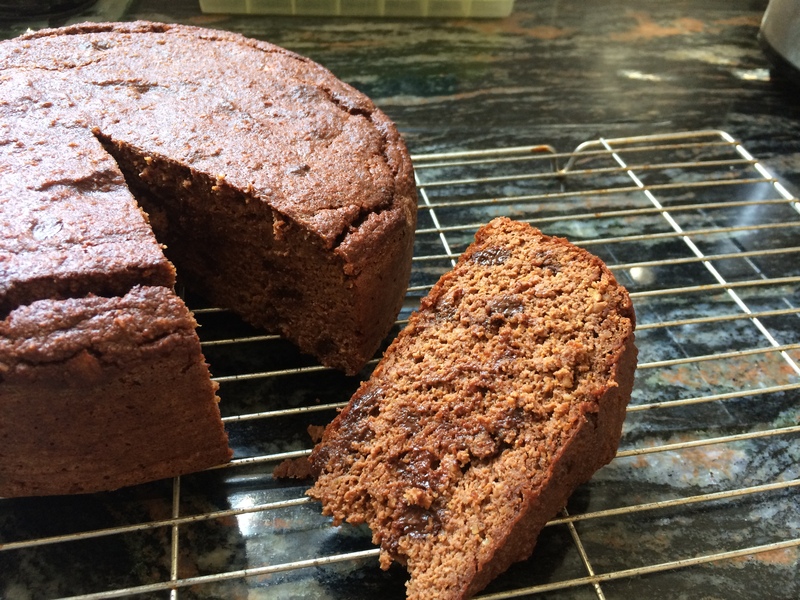 Now I find a recipe where I can use a whole orange (or two) – peel, pith, flesh and juice and the resulting chocolate cake is one of the best cakes I’ve tasted in a long while. I had family staying with us over the Bank Holiday weekend and as I walked into the kitchen I thought one of them was eating an orange. That lovely citrus aroma of when an orange is being peeled and eaten. I was wrong……………the cake tin had just been opened! This was one of those recipes I knew just had to be made asap and I was astounded at how simple and quick it was to mix up. Okay – it took an hour to boil the oranges but that wasn’t exactly hard work and I had these on the hob whilst I was getting breakfast and then left them to cool for an hour or two. Some chocolate cakes can be a little dry but this one turns out amazingly moist with a slight tang of citrus (not too strong). We decided it was delicious on its own without any icing or topping but for an extra special occasion it could be covered with a healthy chocolate ganache made with coconut cream or perhaps some melted dark chocolate, or even just a dusting of cacao. 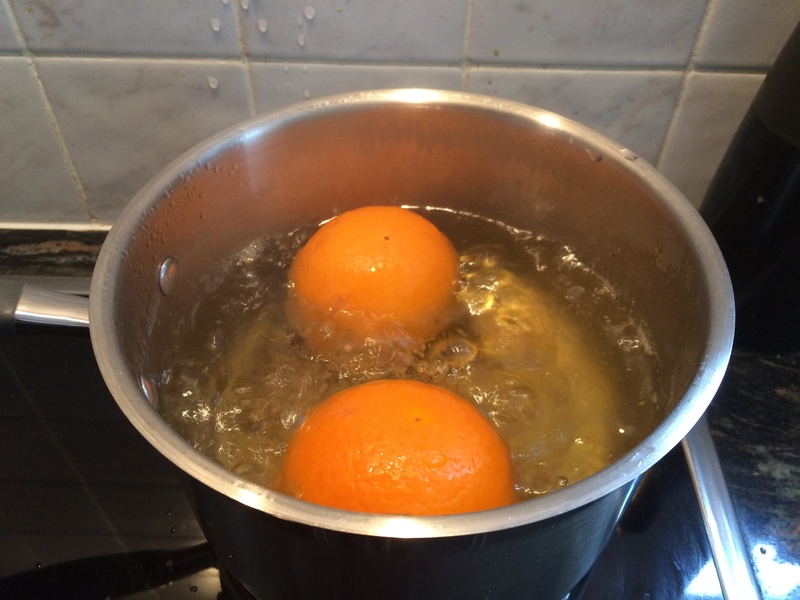 Put the oranges in a saucepan and cover with water. Bring to the boil and simmer for one hour. Lift them out of the water and allow them to cool. Cut the oranges into quarters and place in a food processor; everything – skin, pith, flesh and juice. Process until smooth. Add the remaining ingredients except the chocolate chips and process until smooth. Fold the chocolate chips into the mixture carefully. Pour into a lined 8” cake tin and bake at 160°C for approximately 50 minutes or until a cocktail stick comes out clean. Allow the cake to cool in the tin for a while before turning out. Recipe slightly adapted from the one by Eleanor Ozich at Petite Kitchen. This entry was posted in Miscellany, Sweets and Treats and tagged Almond, Cacao, Cake, Chocolate, Egg, Gluten Free, Healthy Eating, Orange. Bookmark the permalink.